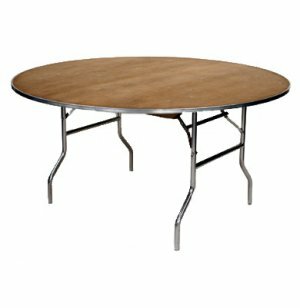 M-Series Plywood Round Folding Table 72"
The M Series Plywood Folding Tables are lighter than inferior particleboard tables which makes these folding tables much easier to move around and stack. These portable tables last longer too! 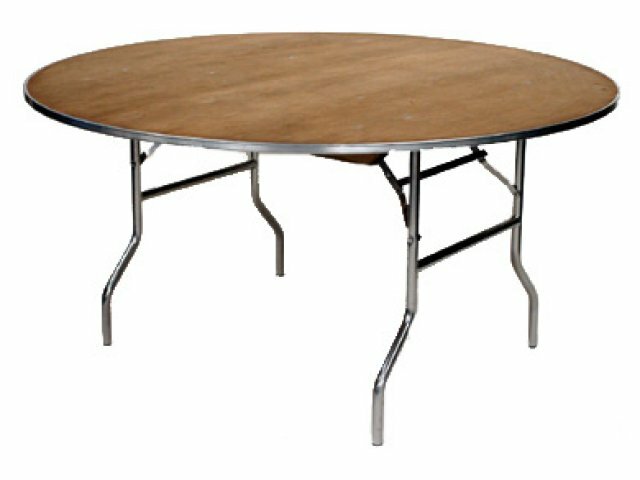 Maywood Furniture Corporation has been a proud manufacturer of folding tables for over eighty years. 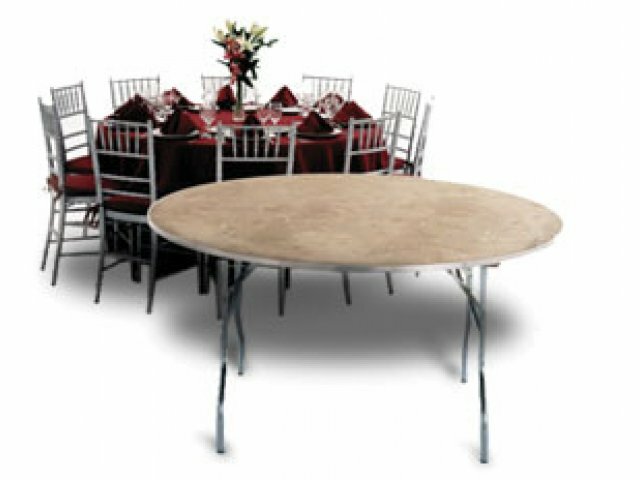 From humble beginnings in the hotel industry, they have expanded to be a major supplier of top quality folding tables to a wide variety of businesses and applications. Tops are stained 5/8" plywood with no voids or patches. Full-length wood runners attached with carriage bolts and nuts to facilitate stacking and handing. Choice of Heavy-Duty channel aluminum edge securely crimped to top or black-vinyl flush edge. Wishbone-type legs are constructed of 1" diameter 16-gauge steel tubing with bright zinc plating.